Is It Possible to Sue a Government Agency in Washington? What Are Non-Economic Damages in Washington? Almost nothing is as frightening as the feeling of your life on the line when you have a heart attack. With loved ones depending on you, you can experience extreme stress and anxiety, in addition to the physical problems tied to heart attacks. When speaking with your doctor about what could have caused the attack, did he or she mention your testosterone supplement? Few men realize that testosterone therapy has been linked to a raised risk of heart attacks. 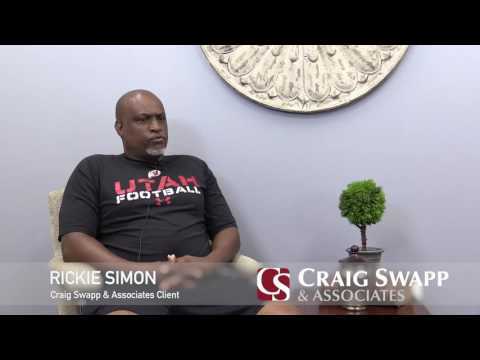 If you were taking testosterone therapy before or at the time of your heart attack, a Spokane testosterone heart attack lawyer with Craig Swapp & Associates may be able to help you. We can let you know whether your case could land you personal injury compensation. Some studies have indicated that men older than 65 who take testosterone therapy may face an increased heart attack risk. These studies also indicate that young men who are currently suffering from heart disease may have a greater risk of having a heart attack after taking testosterone therapy. While the research is still ongoing, it was strong enough to cause the U.S. Food and Drug Administration to release a special advisory and require testosterone therapy labels to alert consumers that there is a potential for additional cardiovascular risk. The agency has also asked doctors to issue warnings to their patients. Despite this, many physicians are failing to inform men that, by taking testosterone therapy, they could be increasing their risk for a heart attack. When you hire a Spokane testosterone heart attack attorney in our office, we will get to work determining who could hold responsibility for your heart attack. This requires significant research. During the discovery process, we may request documents and conduct depositions to get to the bottom of the issue. In some situations, more than one party could be to blame. For example, the drug manufacturer could be at fault if it made a bad drug or failed to issue a proper warning, and a physician could be to blame for prescribing testosterone therapy if you had an existing heart condition. Even the pharmacist could be responsible if he or she did not issue the right warnings or provide the necessary disclosures. If multiple parties had a hand in your heart attack, you can name them all in your claim for compensation. To be compensated for your heart attack and its negative effects on your life, we need to prove that testosterone therapy caused the heart attack or at least contributed to it. This requires establishing negligence—something a Spokane defective testosterone attorney can help with. Next, we need to establish how the heart attack has affected you physically and financially. This builds the foundation for your case and helps decide the amount of compensation you’re awarded. In contrast to filing a claim on your own, you can get more compensation for your injuries with an attorney on your side. An attorney can represent you during negotiations so your case can settle outside of court or go to trial. Keep track of your expenses and how your life has changed so you can get the maximum compensation available after your heart attack. If you took testosterone and had a heart attack, you might be entitled to compensation for your financial damages and suffering. Speak with a Spokane testosterone heart attack lawyer at Craig Swapp & Associates to find out whether you have a viable case and what your options are. To schedule an appointment, call 1-800-404-9000 or complete the online contact form below.